I found a new backround for my computer! 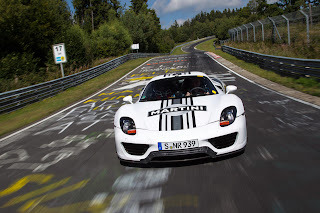 The famed 918 Spyder from Porsche that is part electric, part petrol, and part monster, has kept its street tires on while pushing the envelope on the more famous Nurburgring to put down a 7:14! The 918 is phenomenally close to the Gumpert Apollo's 7:11 on track tires. Style, power, and technology from Porsche in one hell of a car. The Best Father And Son Bonding Moment Ever! The "VW'ers" / "V Dubbers"